MPBS Industries offers meat patties and meatball machines for our customers. 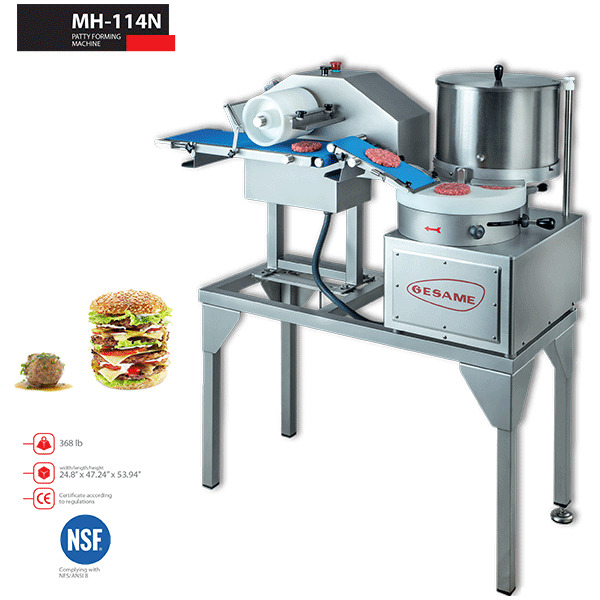 For example, the automatic filling forming machine use to form a wide variety of products such as hamburger patties, chicken nuggets, meatballs, fish sticks, etc. 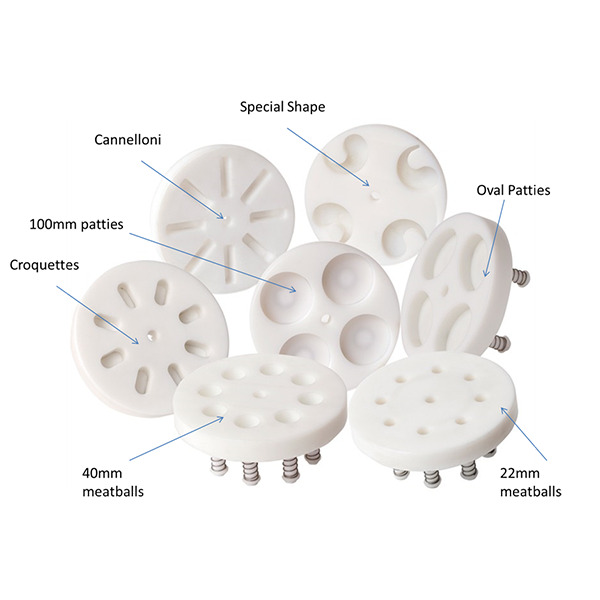 Dispensers that MPBS Industries holds also can be used to make meatballs, cannelloni, croquettes and any made to measure shape. Specially, the Gesame’s MH series dispensers reduce the processing time and increase the productivity. Other unique technical products that MPBS Industries holding are the PS21 patty machine with conveyor and PM18 patty forming machine; it is not necessary for both of these two machines to stop to reload paper or product. Please feel free to contact our professional sales and service staff to answer any questions you have.